In four days of varying conditions, it was the reigning champion that came out on top. Sebastien Ogier is the 2015 Rally Monte Carlo champion, taking home the win over Jari-Matti Latvala by just about one minute. Interestingly enough, Ogier only won 2 stages of the 15 specials that the drivers tackled over this four-day season opening event. 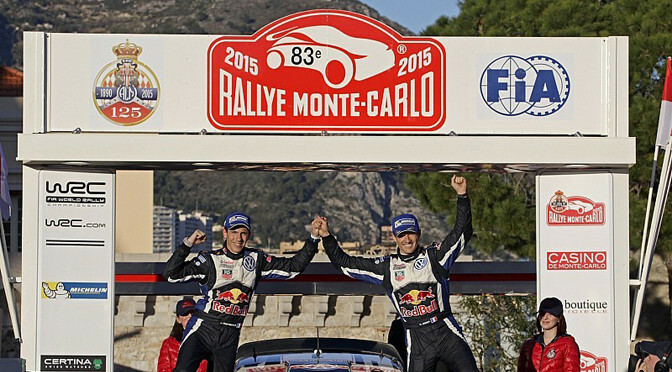 “Victory in Monte-Carlo means a lot – especially for me, so close to my home town, and at the first rally of the season. It’s a huge challenge but the satisfaction is even more when you make it. Conditions were so tricky this year, but it has been the best atmosphere of a rally I have ever known,” Ogier told WRC.com. Latvala, who was unable to win a single stage of the 15 on the rally, ended up second overall, and while he never saw the front of the pack he is happy with the result in tough condition. “I’m delighted. This is much more than I expected, before the rally I was thinking fourth or fifth. I must thank my ice crew for their information,” said Latvala. Despite ending the day eighth, rally legend Sebastien Loeb said he was happy with his performance after his suspension failure on day 2. While 8th is nothing to write home again, Loeb can go home with the satisfaction of knowing that he won the most stages of the rally. Right behind him in stage wins, with 4, was Robert Kubica. The pole was flying on the roads of Monte Carlo, but inconsistency and numerous minor mistakes caused the former F1 driver to retire before the final stage with damage. Rounding out the top five was Andreas Mikkelsen, Mads Ostberg and German Thierry Neuville. Sebastien Loeb will have a long way to battle back after a suspension part issue on the sixth and final stage of the day in Monte Carlo. One-minute, 45 seconds is the gap from the reigning WRC World Champion Sebastien Ogier to Jari-Matti Latvala after 8 stages and two days of competition. Again today, fickle weather made tire choice key, but Ogier said while he didnt have the right tire choice, he made it to the end of the stage. The reason for his confusion was rally leader Sebastien Loeb’s drop of over 5 minutes in the final stage of the day. Rolling past the flying finish with ratchet straps holding parts of the car together on the rear end of his Citroen DS3, Loeb said the suspension broke after contact with a rock on the stage. Ironically, Loeb’s Citroen team mate who had the best position to make the Citroen effort for a win two-fold, also fell out of contention in a very similar fashion to Loeb, but it is not expected that the Brit will be bale to limp his machine to service. Lastly, while he made it to the end of the day, Robert Kubica had two major offs during the final stages of the day. The two incidents send Kubica down the running order. “We had a massive moment at high speed. We went off, and thanks to the spectators we got back, then later at a junction we went off again, slid on the snow, hit a tree and punctured the tyre. We drove 10km like that,” he said. 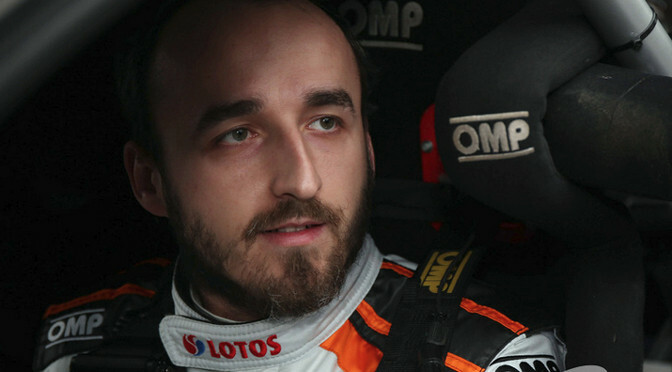 Robert Kubica has launched his own team to contest the world rally championship in 2015. The Pole’s F1 career ended when he almost severed his hand in a 2011 pre-season rallying crash. But he has since returned to driving, this time in the highest category in the world of rallying. And in 2015, the 30-year-old will contest the world rally championship with a Ford Fiesta under the banner of his own team, entitled RK World Rally Team, the German news agency SID reported. The first round of the season is this week’s rally Monte-Carlo. Kubica finished the 2014 championship in 16th place, driving for M-Sport.